Pub crawl in comfort and style. Welcome to Party Cycle NW! 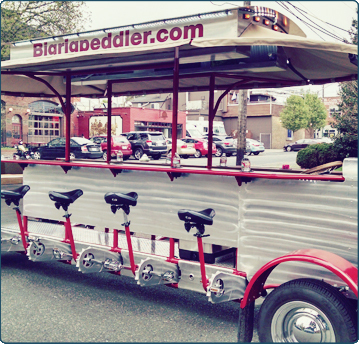 We are the new look of Big Rig Peddler, but same great people and bikes! Pedal through Tacoma's historic 6th avenue business district and visit local bars and brew pubs. 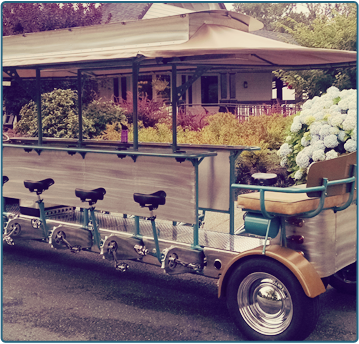 Rent the bike for parties, or just a day out with friends, and enjoy Tacoma from a different view. Tour the wine country and Woodinville breweries while breathing in the fresh air. Located 30 minutes from Seattle, you can escape with friends to celebrate and enjoy all this town has to offer. 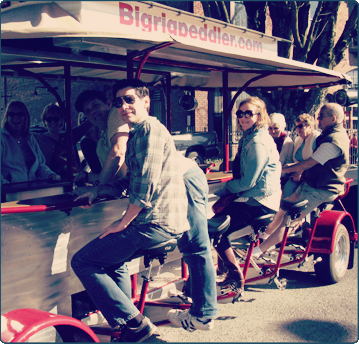 Party Cycle NW is a pedal-powered bike that seats up to 15. The bike is perfect for Parties of any kind. Whether it's for a birthday, bachelor/bachelorette party, team-build event, or just a day out with friends. This unique experience will not disappoint. I booked this for my boyfriend's surprise birthday party and it far exceeded everyone's expectations! Booked this for my boyfriends birthday and everyone had an absolute blast. We will definitely do this again! We had a great time, the weather wasn't very good, but we didn't care. I highly recommend it!